Marvel Commited to Black Widow Franchise in Phase 4? Earlier this week, a poll was conducted from 1,000 moviegoers who had already purchased tickets for Captain America: Civil War, in theaters today. One question asked was which Avenger, who hasn't had a standalone franchise, should get a solo movie. 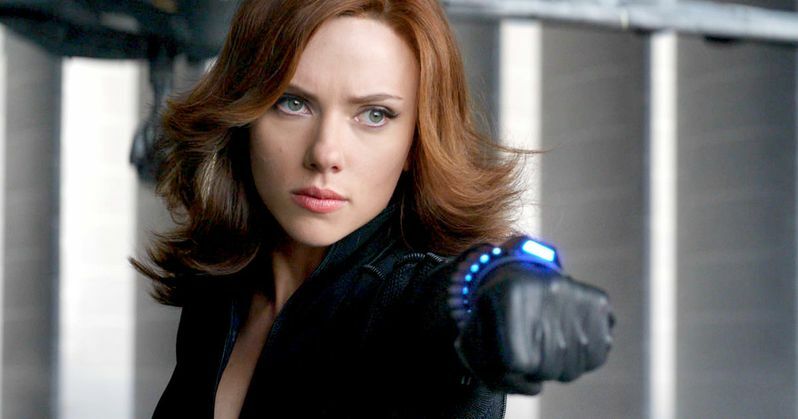 The result was a landslide victory for Scarlett Johansson's Black Widow, who landed 48% of the vote, with her closest competitor, Paul Bettany's Vision, getting 15% . It seems that Marvel Studios feels the same way, with studio president Kevin Feige confirming that the studio is "most committed" to making a standalone Black Widow adventure, when compared to all of the other characters. The poll also included Anthony Mackie's Falcon (12%), Jeremy Renner's Hawkeye (10%), Don Cheadle's War Machine (8%) and Elizabeth Olsen's Scarlet Witch (7%). Black Widow has been around longer than all of those characters, making her MCU debut in 2010's Iron Man 2. She went on to star in 2012's The Avengers, 2014's Captain America: The Winter Soldier and last summer's Avengers: Age of Ultron. Last month, Kevin Feige teased that he would still love to see a Black Widow movie in the MCU, but he doesn't think it would happen until at least 2020, in Marvel Phase 4. During a new interview with Deadline, Kevin Feige reiterated his commitment to making a Black Widow movie happen, when asked if other characters like Falcon, War Machine and Hawkeye would ever get their own movies. "We've announced the next nine movies, ten counting Civil War, through the end of 2019. Where we go beyond that are ongoing discussions that we'll focus on in the next few years because we have a lot to do before then. Of the characters that you've just mentioned I would say certainly the one creatively and emotionally that we are most committing to doing is Black Widow. We think she's an amazing character. We think Scarlett Johansson's portrayal of her is amazing. She's a lead Avenger and has amazing stories in her own right to tell that we think would be fun to turn into a standalone franchise." Last year, Marvel set three unspecified movies for release on May 1, 2020, July 10, 2020 and November 6, 2020, which will be the first three movies in Phase 4. The studio recently pushed the movie that was originally slated to close Phase Three, Inhumans, out of its July 12, 2019 release date. So it's possible that project could be slotted into one of these new dates. It will likely be quite some time before the studio is ready to announce which movies will take those 2020 release dates, but Black Widow could certainly be one of these Marvel Phase 4 movies. As of now, we don't know for sure if Marvel has a writer working on a Black Widow standalone movie, or who would come aboard to direct. After Captain America: Civil War, Black Widow will presumably return in the Avengers: Infinity War movies, but it hasn't been confirmed if she will appear in any of the other Marvel Phase 3 movies aside from that. We'll be sure to keep you posted with more on the potential Black Widow movie as soon as details are announced.